Experience – Since 2004, Larlin's Home Improvement has been passionate about providing appliance installation & replacement services, helping customer maintain a functional and efficient home. They specialize in a variety of appliance installation services including replacement of dishwashers, washer machines, dryers, stoves, refrigerators, microwaves, water heaters and more. Additionally they provide services to repair, install, or replace ceiling fans, toilets, bathroom cabinets, vanities, medicine cabinets, showerheads and faucets. Larlin's Home Improvement has the experience, knowledge and tools necessary to complete appliance repairs, and keep your home running smoothly. They provide fast, dependable service to keep their customer satisfied. The Larlin's Home Improvement offers in-home appliance repair services at an affordable cost. Their highly qualified technicians are professional, courteous and skilled. Affordably Priced – Larlin's Home Improvement strives to treat you and your appliances with the utmost respect. They offer premium services at affordable, locally competitive prices, and provide prompt response when you call. Satisfaction Guaranteed – Larlin's Home Improvement stands behind their repair performance, and work hard to ensure you are completely satisfied. They offer a full guarantee. 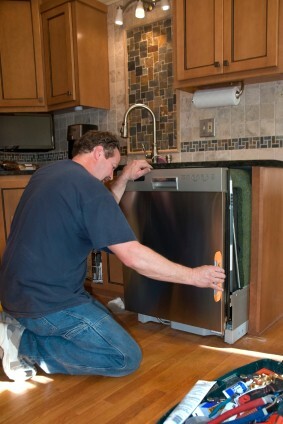 For prompt quality appliance installation & service, call Larlin's Home Improvement at (203) 267-0607 today!